It doesn’t just watch home. It helps out there too. What do you get when you combine a 4K sensor with HDR and intelligent imaging? Supersight. It’s a sharp new way to look after home. HDR and invisible infrared LEDs evenly illuminate the whole room. So whether it’s pitch black or low light, pixels stay bright and crisp. If someone breaks in, you want to know right away. Nest Cam IQ plugs into power, so it won’t run out of batteries before it sends an alert. A Nest Aware subscription comes with 24/7 continuous recording. You can scan through your entire video history – not just clips – to see what happened. And get intelligent alerts, like when Nest Cam IQ spots a familiar face or a stranger. Best camera for the home! I wanted a camera that I could use to monitor my house. The Nest camera gave me a camera that not only monitors the house, it gives me alerts, facial recognition and the ability to talk to anyone in the room. The design is sleek and fits into almost any design. It's much better than any other camera I've seen and 100% better than the ADT indoor camera. Installation was as easy as plugging in a lamp. Since I have Nest Smoke Detectors I just had to hit the button on the detector and the camera synced right to the wifi, done. It cannot get any easier than that! My Dad got me a NestcamIQ (indoor) to help monitor my son before and after school while I'm working. Everyday he is responsible for getting himself to and from school as a walker. I love that I can easily check in with him to make sure he's getting out the door in time, or that he's arrived home safely. Added bonus that I can actually hear/speak with him! This is the first year he's ever had to be so responsible, and having the Nestcam makes him feel more secure. Thank you so much for developing a great product & application... It makes -this- single working Mom's life a LOT easier. With octogenarian parents still in their own home, and a stream of health care aids coming and going, two Nest IQ with Nest Aware have given us peace of mind, that we can check in at any time, monitor both the old folks and strangers in the house and have the ability to look back 10 days should there be any issues. Set up was simple, connected to the app I already had for our thermometer and with a couple clicks I can acces our home or my parents. Definitely worth the cost and will likely expand network with outdoor cams and maybe the doorbell in the spring. Familiar face alerts require a Nest Aware subscription. 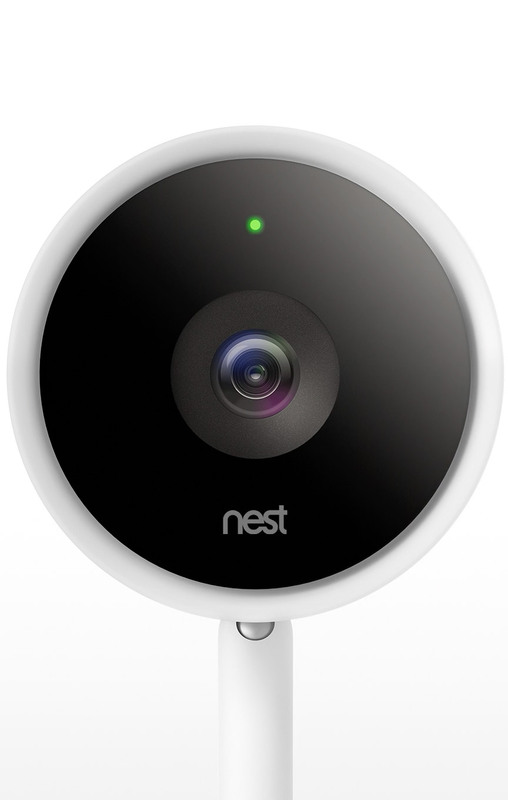 Compared to Nest Cam Indoor. Compared to Nest Cam Indoor, thanks to 802.11ac Wi-Fi and a 2x2 MIMO chip.